The proposal by HMC Architects envisions an iconic gateway to the City of Kaohsiung, and a lens into the outer-world visualized from within. It creates a new urban datum—an inviting gesture—to allow a new connection between visitors, citizens, and the City of Kaohsiung. This gateway is designed to serve as a physical and economical impetus to the City’s goal of transforming its waterfront from its industrial past into an inviting future. The proposed 300,000-SF, eight-story terminal is efficient, adaptive, and lucid while fostering a poetic and interactive space that embraces a vibrant urban serendipity. The program consists of cruise and international ferry terminals, 700-space subterranean parking garage, and a Port Bureau office. In a quest for calmness in the occasion of traveling, interior spaces are bathed with comfortable natural light and vistas to ocean and city to create an uplifting experience to maritime travelers and commuters. Its transparency optimizes way-finding, a key element in mitigating people movement, allowing the building to effectively embrace its users’ constant motion and accommodate occasional sudden influx of massive cruise passenger volume. As a sustainable structure that resonates seamlessly with its context, the building design is sculpted by the forces of nature. Its carefully calculated tilting self-shading exterior envelope closely calibrates with the path of the sun and wind to allow this mostly glass building to achieve outstanding energy performance. The extensive elevated boardwalk and green roof promote biodiversity and enhance planting green index to allow the design to target EEWH Silver certification. The design also qualifies for LEED Gold certification and may achieve LEED Platinum certification with further evaluation. In collaboration with HMC Architects. 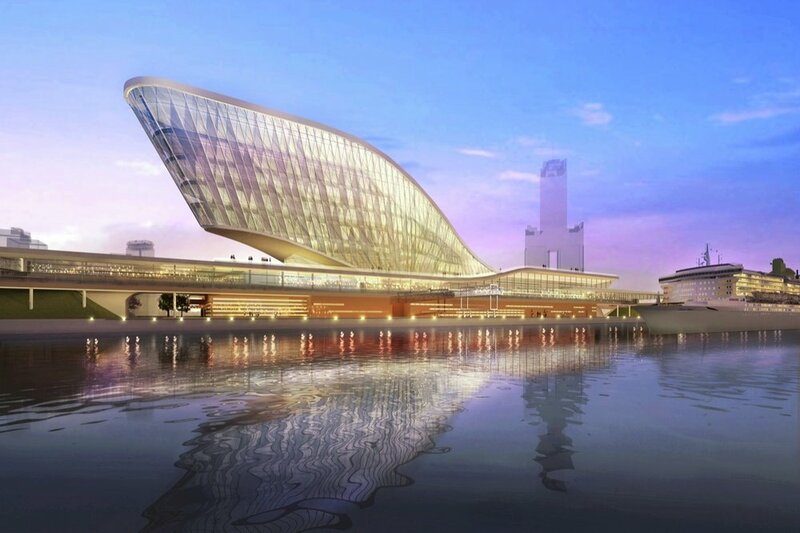 Will worked on the Kaohsiung Port and Cruise Terminal while at LandDesign.